Right-wing opposition elements winning National Assembly control for the first time in 16 years initiated war on Bolivarian fairness. Right-left confrontation along with plunging oil prices got President Nicolas Maduro to declare a 60-day economic state of emergency. His announced decree came hours ahead of his annual state of the union address, intending a package of proposed reforms. Days earlier, he said new measures would be implemented to increase production, distribution, commercialization and price controls. Soaring inflation, shortages of basic goods, and black market exploitation of conditions caused enormous financial and economic hardships for millions. Maduro’s announcement came two days after Venezuela’s oil price fell to $24 a barrel, its lowest level in 12 years. Up to 96% of the government’s budget depends on oil revenues. Plunging prices created disastrous socio-economic conditions. Economic war rages. Emergency measures are needed to try restoring order and stability, at best requiring many painful months ahead. Resources from last fiscal year’s budget will be used for health, education, food subsidies and housing. Tax evasion will be targeted. Venezuela’s Constitution grants the president “authorization to address the cause of the current situation” and institute corrective measures. Maduro’s annual address will be his first since right-wing legislators won National Assembly control, intending destabilization policies and repeal of popular social programs to undermine his presidency. They want him ousted within six months – by recall election, requiring hard-to-get 20% of registered voter signatures (validated for accuracy) or other means. They want opposition figures imprisoned for plotting overthrow of the government freed. Last month, they published their anti-Bolivarian agenda – intending to reverse 16 years of social justice, including privatization of key state enterprises and services, ending land reform, revoking price controls keeping basic goods affordable, eliminating public media, and other regressive policies. 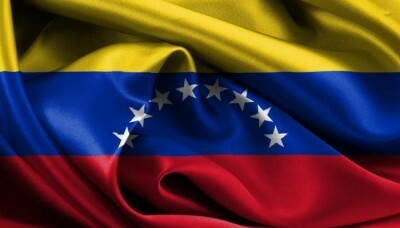 They want Venezuela returned to its bad old days, benefitting monied interests exclusively. They intend legislation serving their interests. A measure to privatize vital public housing was introduced, affecting over a million homes built by the Great Venezuelan Housing Mission, residents retaining ownership rights. Right-wing lawmakers’ so-called “democratization of property” threatens them, rights under the current Law of Property at risk of becoming null and void. Housing now the property of family residents may be lost to corporate greed. Free healthcare, education, subsidized food for the needy and other vital social benefits may be on the chopping block for elimination. Venezuelans suffering under hard times erred hugely in electing majority right-wing legislators, threatening years of social progress. Bolivarianism faces its stiffest challenge ahead.